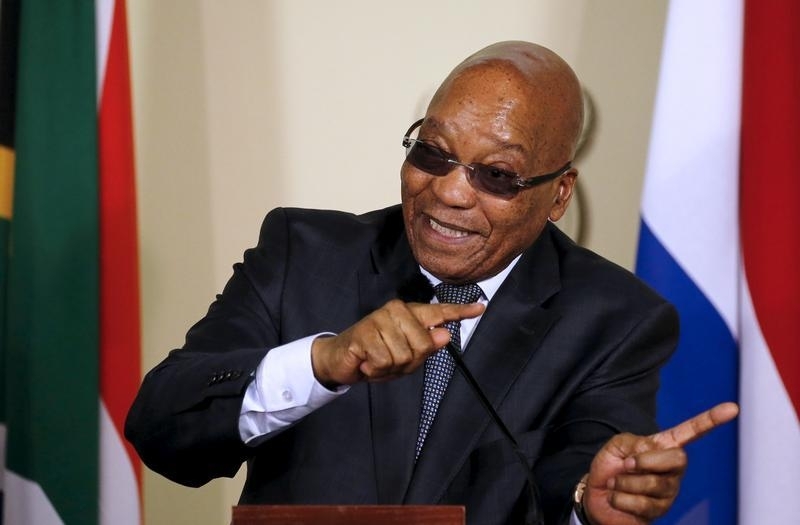 Assets of Africa’s second-largest economy are up after President Jacob Zuma’s rethink on a new finance minister. But 10-year bonds and shares are yet to recover all their losses. As the U.S. prepares to hike rates, the government has lost credibility at just the wrong time. South African assets strengthened in early trading on Dec. 14 after President Jacob Zuma named Pravin Gordhan as finance minister. Zuma gave Gordhan the job late on Dec. 13, reversing a decision to appoint relatively unknown lawmaker David van Rooyen. Nhlanhla Nene, the previous incumbent, was sacked on Dec. 9. The rand fell nearly 9 percent last week following the removal of Nene, a civil servant veteran who was keen to rein in government spending. As of 1000 GMT on Dec. 14 it has strengthened 4.9 percent against the dollar. Yields on 10-year government bonds recovered from 10.38 percent to 9.4 percent, still above their 8.9 percent level on Dec. 12. South Africa’s main share index rose 0.8 percent, having fallen 2.9 percent since Dec. 9.